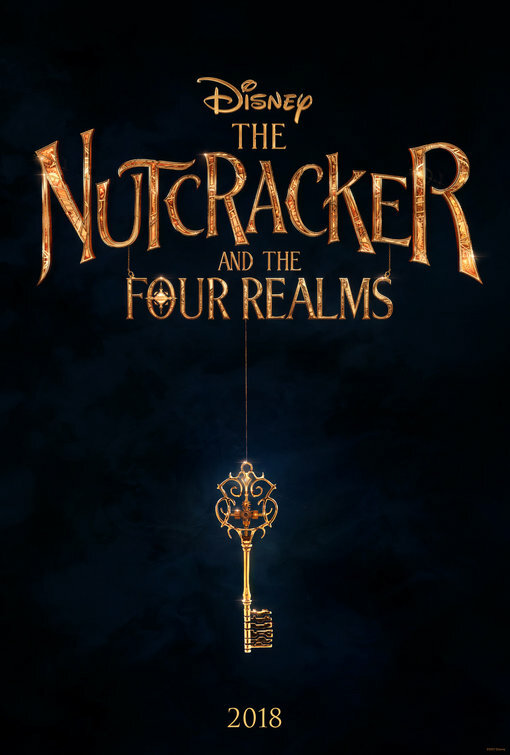 The Nutcracker and the Four Realms is just as enchanting as it should be, and involves a twist. In this case, the traditional hero’s journey is undertaken by a girl named Clara, the girl in Tchaikovsky’s popular “Nutcracker” ballet. 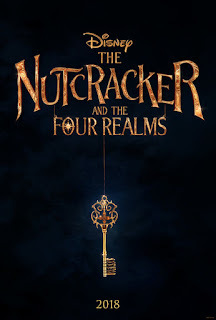 The script is based on E. T. A. Hoffman’s 1816 story (“The Nutcracker and the Mouse King”), in which the young girl Clara has a very special Christmas. The film opens with the Stahlbaum family preparing to go to the grandfather’s for their annual Christmas party. The mother, Maria, has died, but has left presents for each of the three children. Mr. Stahlbaum (MacFadyen) is clearly grieving, but is trying to make the best of it. Louise and Fritz are thrilled with their gifts, but Clara (Foy) is puzzled by hers. It’s some kind of egg, and as pretty as it is, Clara, a very smart inventive girl like her mother, sees that it requires a key, which she doesn’t have. Enigmatically, there is a note from her mother, noting, “Everything you need is inside.” Then Clara brightens; her grandfather very likely made it and gave it to her mother. He should have the key. Now, the socially shy girl is excited about going to the party. It’s after that the adventures start. First, when Clara runs to her grandfather (Freeman) looking for the key, she solves a problem for him and presents him with hers. He lets her know that she must search, saying, “Some locks are harder to pick than others.” That will be an understatement! As she is wont to do, Clara begins wandering around, and comes upon a whole new world, snowy and beautiful, and a certain tree that is lit up like no other. She spies a key, but then…pesky mouse! As she continues her journey through this strange world, she comes upon Phillip (Fowora-Knight), a guard who warns her about going to the fourth world, which is very dangerous. She’s still curious, and wants to forge on, and the guard is skeptical, but goes with her, more willingly when he discerns that she is a princess. She knows nothing about that, but along the way, they meet the heads of the three realms: Lands of Snowflakes, Flowers, and Sweets, and are entertained with a ballet that explains the realms, the fourth being one that belongs to Mother Ginger (Mirren) who has mice attending her and a reputation for being fearsome. A ballet is performed to tell the story of the four realms, with New York City American Ballet Theater's Misty Copeland making her debut in a movie as the lead dancer. She was able to bring in the ABT choreographer, Liam Scarlett, and Director Lasse Hallstrom welcomed their input into which dances from the traditional Tchaikovsky Nutcracker Ballet to include and supplement them with more contemporary choreography. The bulk of the story is told by the Sugarplum Fairy (Knightley), from the Land of Sweets. Whereupon, Clara—who is feeling more and more like a princess and even a queen—decides it is her duty to solve a mystery and do what she can to unite the four realms. It’s exciting to see Clara come into her own, figuring out what is going on in the four realms, showing bravery in overcoming obstacles and betrayals, and achieving her goal and reuniting with her family as a changed person. Disney is often criticized for its shallowness in productions, but I think their story here should inspire young girls while it entertains with enough intrigue, captivating graphics and special effects to please its audience. An inspiring story with a superb model for young girls.